Lovely hues, glittery sequins, flowing silks and Swati's tasteful eye, put together creates the most mesmerizing collection of lehengas ever. These three-layered lehengas are woven in raw silk, satin or georgette with detailed sequin or thread work and come along with a complementing net or georgette dupatta. What makes them special are the unique colour combinations and subtle designs which gives the traditional lehenga, a very soothing look. 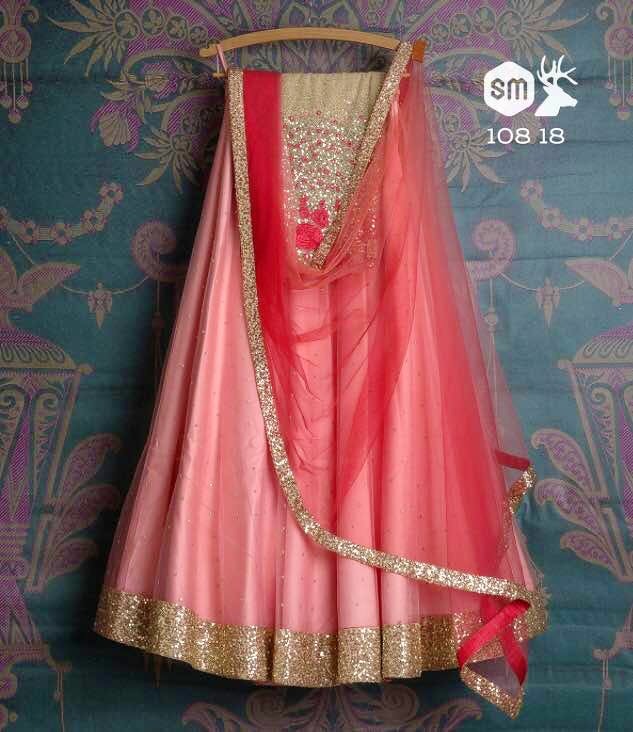 The lehengas are usually pre-designed pieces and cannot be customized. But upon ordering, it will be tailored to your measurements. The price ranges from INR 30,000 to INR 90,000. You can order online or visit their store in Mumbai. The outfits could have been more reasonable priced.